College Logo Stuff is a family owned and operated business offering high quality college logo merchandise, expertly crafted, carefully selected and officially licensed. 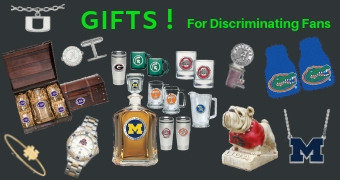 Our vast and diverse selection of university licensed barware and home entertainment goods , collegiate jewelry, accessories, decor and tailgating merchandise will satisfy even the most discriminating fan. Find your favorite team and shop for your college logo products today.